We've done the hard work for you so you won't have to. Smart Forms is an integration between the popular Wufoo Online Form Builder and Act! that enables you to easily import form results without the need to re-type data. Smart Dash is a powerful and flexible reporting tool that works inside Act! Dashboard. 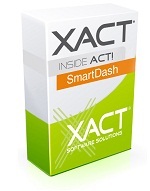 With Smart Dash you can analyze data from Act! and other external database in one central location. 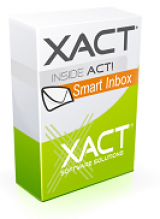 XData is an API for Act! that makes it easier to connect to 3rd party systems and access Act! data and functions via the web.